It’s here. A new year. 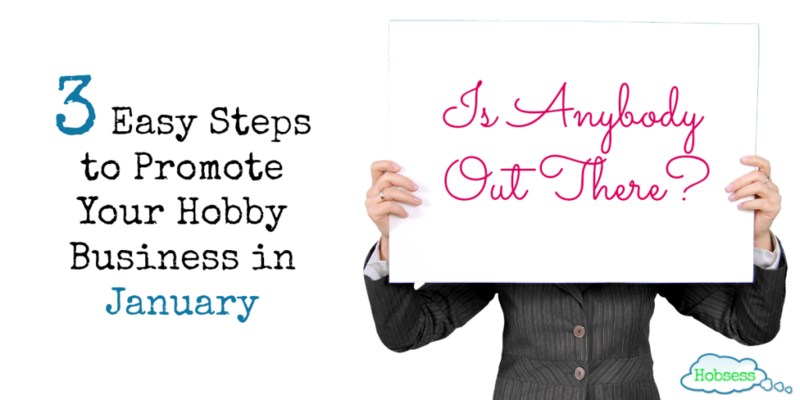 Do you need a plan to promote your hobby business in January through social media? I know you are obsessed with your hobby. So obsessed that you wanted to start your own business. That’s cool. But what can you do to make January a profitable month? Have a plan, of course. In January, do 3 things. Which social media is your favorite to use? Pinterest? Facebook? Twitter? Instagram? Where do you get most of your customers? Which social media attracts an engaged audience? Where do you get more likes, shares and comments? Do more visitors come to your website from Pinterest or Twitter or another? Which tool are you willing to experiment with? Second, make your posting plan. Once you have decided which SM tool to use, create a posting plan. People will get tired of your posts if each one is trying to sell them something. You’ve got to give them more. You’ve got to let them know you as a real person. Your posting plan will include Time and Topics. Let’s get started creating your plan. Time: How Often Will You Post? Start out posting 4-7 times a week to see how that works for you. Is it too much or not enough? Are you gaining more followers/customers by sharing more? You can always increase or decrease the number to find a good fit for you and your audience. I started doing this task manually. I would schedule a time every morning and send out a post on Facebook and Twitter. What happened when I had an appointment and wasn’t able to post from my computer or cell? The post didn’t go out and my plan to be consistent just didn’t work. The tool I use now is Buffer. I use the Awesome Plan at $102 a year. You don’t have to use a tool like this, it doesn’t cost anything to post on social media anytime. But if you want to put your posts on autopilot and your budget can afford it, I strongly suggest using Buffer. Topics: What Will You Post? Now that you know how often to post, what are you going to post??? Brainstorm a variety of topics, related or not, to your hobby. Let’s start with the obvious – your product or service. What you have to keep in mind, though, as much as you want to sell your product, you don’t want to chase potential customers away by ONLY posting about selling your product/service. Create a variety of topics, related or not, to your hobby business. I love using the National Day Calendar website because some days are fun, some are silly and some are entertaining. Who doesn’t like to celebrate National Ice Cream Day??? Let’s look at the national celebrations for January. As you review the list, see if you can find a day where you can highlight your product or service in celebration of that day. For example, here on Hobsess there is a section where you can find a new hobby to try. So, I could send out a tweet on January 1st to let my Twitter followers know that January is National Hobby month with a link to my quiz, the Hobsessment, where they can find a new hobby or a link to the different hobby categories. Make a note of the monthly and daily celebrations, where you could send out a message to your followers about your product or service. So, if you are going to post something daily, pick out 7 of your favorite from the list. If this seems like way too much to keep up with, I can help. For less than $1/day I will send out social media posts 5 times/week to promote you and your product/service. Which social media will you focus on?